A hugely important part of any Hifi system, the cables, supports, power and acoustic treatments are well represented at Festival of Sound, find out more here. There will be cables, expert advice and revelatory demonstrations in the main audio area of the show on the Mezzanine level. Room B5 (Sancerre) will host a full Hifi system allowing complete cable ranges to be experienced in an intimate and relaxed listening environment. Made in Switzerland the Boenicke W5SE are a very small speaker with a reasonably high price tag of £4595. Stuart and Linette Smith take a listen. When Ian Ringstead who reviews for Hifi Pig heard that we had got these diminutive speakers (they ae only 2.8L in volume) from Swiss manufacturer Boenicke, he was to say the least a little bit green with envy commenting that they were his favourite small speaker when he has heard them at shows and demonstrations. It’s just one month to go until Festival of Sound 2018 at the Novotel London West in Hammersmith, 28th to 30th of September. We are looking forward to covering the show for you and bringing you all the info and pictures. The show is a unique blend of Hifi, music and seminars from music and Hifi industry specialists, so here are the most recent confirmed additions to the show. AVM’s latest Compact Streaming CD Receiver, the INSPIRATION CS 2.2 4T will be unveiled by PMC UK Distribution at Festival of Sound in September. Based on the CS 2.2, the enhanced CS 2.2 4T now features the latest Bluetooth 4.2 standard, with a dedicated second antenna on the rear of the unit. Talking of Hifi shows, places like Las Vegas, Munich, London and Bristol spring quickly to mind. I have to admit, though, that I had not heard of the Copenhagen show until I was asked to attend it in 2018. Yet Denmark itself is quite a big name in the Hifi manufacturing world. Not only are there big names we all know such as Ortofon, Bang and Olufsen and Scandyna, but today Denmark plays a significant contribution to the market place with the major contingent including Copland, Dynaudio, Dali, Gryphon, Lyngdorf Audio, Densen, Vitus Audio, Gamut and Tangent, to name just a few. Bowers & Wilkins, the British audio brand, has introduced the sixth iteration of its 600 Series speakers. The Bowers & Wilkins 600 Series range has won many awards for value and performance. Now, Bowers & Wilkins is launching a new range composed of four speakers and matching subwoofers that feature several improvements from their predecessors. “The 600 Series is the perfect entry point into the Bowers & Wilkins high-fidelity audio experience,” said Richard Campbell, Chief Revenue Officer at Bowers & Wilkins. 8 is coming to the Fort Mason Center in San Francisco on Sunday, September 30th from 8:30 a.m. to 8:00 PM. New BAF’s hours have been extended due to the increased interest and popularity of DIY audio amongst music-loving enthusiasts of all ages. Henley Audio say are delighted to announce the UK debut of Klipsch’s new Reference™ Series speakers. With a range made up of 13 models – including Dolby Atmos®-enabled components, subwoofers and active monitor speakers – the new, sixth generation, Reference Series (also called Reference Base in different territories) boasts cosmetic and material upgrades over the previous range. 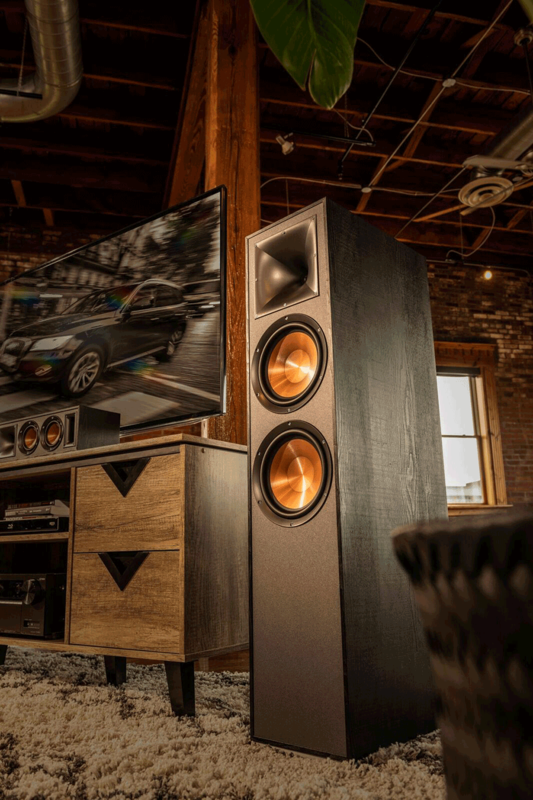 Designed at Klipsch’s HQ in Indianapolis, new Reference Series speakers feature the company’s proprietary horn-loaded technology and spun-copper IMG woofers. 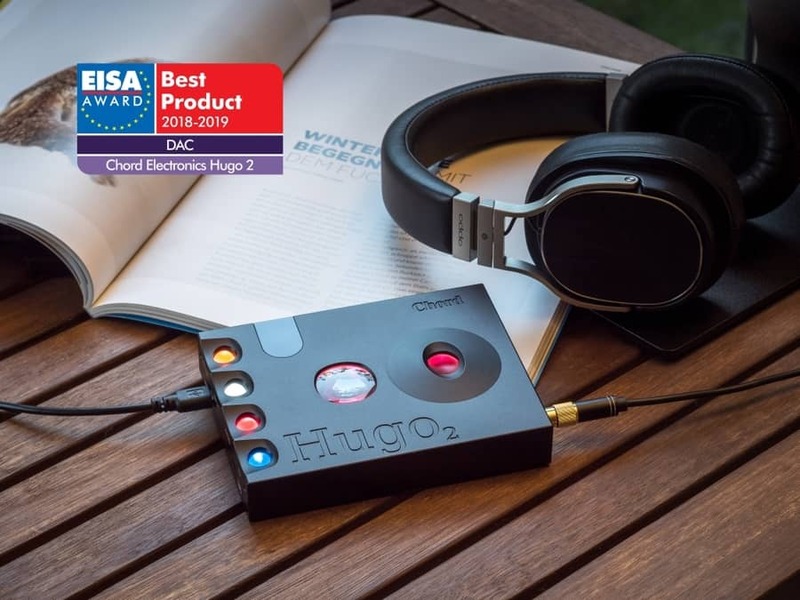 Chord Electronics’ Hugo 2 DAC/headphone amplifier has won Europe’s most prestigious DAC award: EISA DAC 2018/19. The award from the European Imaging and Sound Association (EISA) reflects the pooled experience of EISA’s expert magazines in Europe, the USA, Canada, India, Hong Kong/China, Japan and Australia, and acknowledges Hugo 2 as the world’s most advanced transportable DAC. Commenting on the definitive EISA DAC 2018/19 award, Matthew Bartlett, Chord Electronics’ Manufacturing Director said, “I’m delighted that EISA’s expert judging panel have once again recognised the technical and sonic superiority of Chord Electronics’ DAC designs. Tangent Audio has announced the launch of two new wireless audio products, the Spectrum DAB/FM radio and W1 wireless multi-room speaker with built-in Chromecast audio.